Shop online for 74 he-harris at discounts up to 51%. 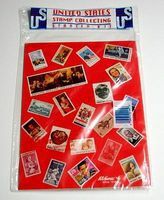 This is the Mixed Bag of 300 Assorted Genuine US Stamps from H.E. Harris. This is the US Stamp Starter Kit from H.E. Harris. 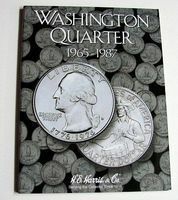 This is the Washington Quarter 1965-1987 Coin Folder from H.E. Harris. This is the Lincoln Cent Starting 2014 Coin Folder from H.E. Harris. 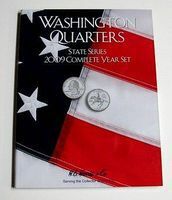 This is the 2009 Complete Year Washington State Quarters Coin Folder from H.E. Harris. 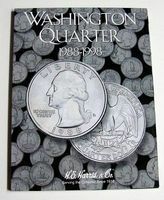 This is the Washington Quarter 1988-1998 Coin Folder from H.E. Harris. 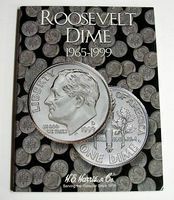 This is the Roosevelt Dime 1965-1999 Coin Folder from H.E. Harris. This is the 2005 Complete Year Washington State Quarters Coin Folder from H.E. Harris. 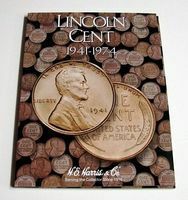 This is the Lincoln Cent 1909-1940 Coin Folder from H.E. Harris. This is the Eisenhower & Anthony Dollars 1971-1999 Coin Folder from H.E. Harris. This is the Roosevelt Dime 1946-1964 Coin Folder from H.E. Harris. This is the Lincoln Cent 1975-2000 Coin Folder from H.E. Harris. This is the 2003 Complete Year Washington State Quarters Coin Folder (D) from H.E. Harris. This is the Vol.1, 1999 thru 2003 Washington State Quarters Coin Folder from H.E. Harris. This is the 1000 Pregummed Folded Stamp Hinges from H.E. Harris. This is the Jefferson Nickel 1962-1995 Coin Folder from H.E. Harris. This is the Patriot US Stamp Collecting Kit (64pg) from H.E. Harris. This is the 2008 Complete Year Washington State Quarters Coin Folder from H.E. Harris. This is the Lincoln Memorial Cent 1999-2008 Coin Folder from H.E. Harris.